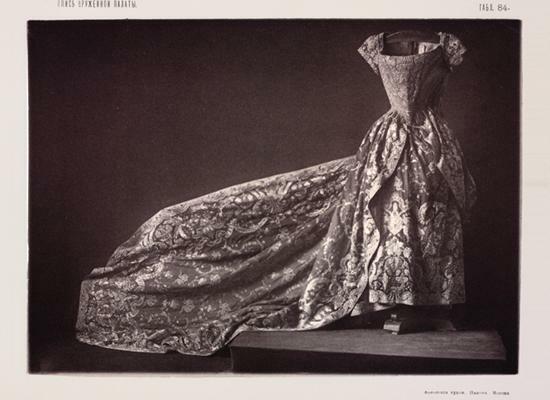 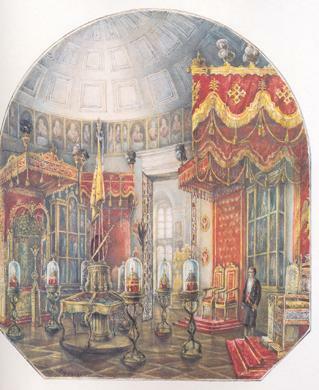 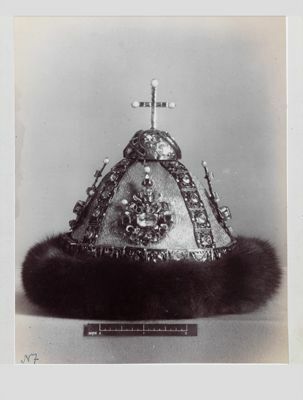 Russia, second half of the XIXth century. 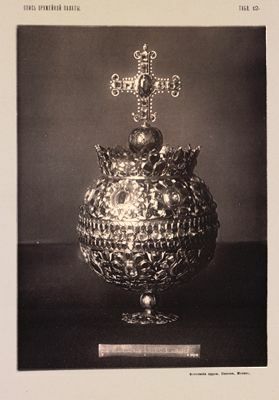 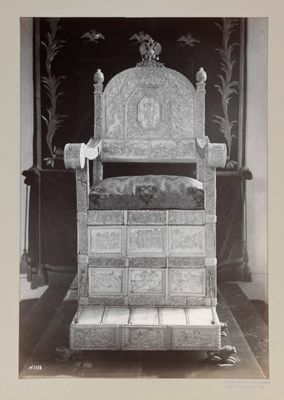 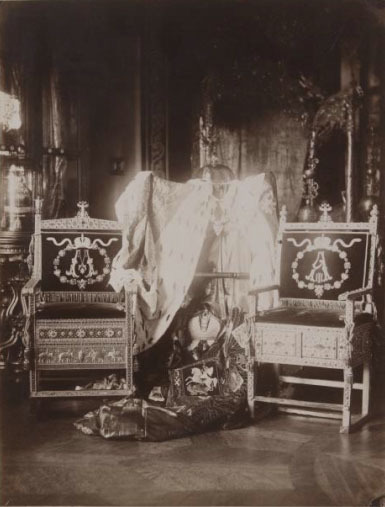 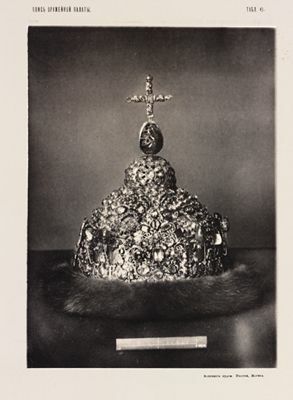 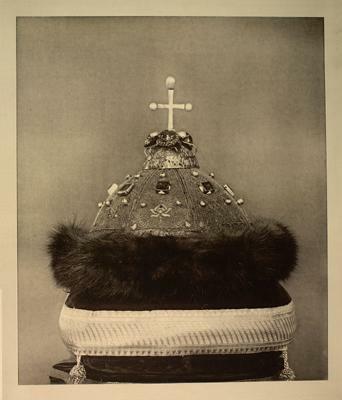 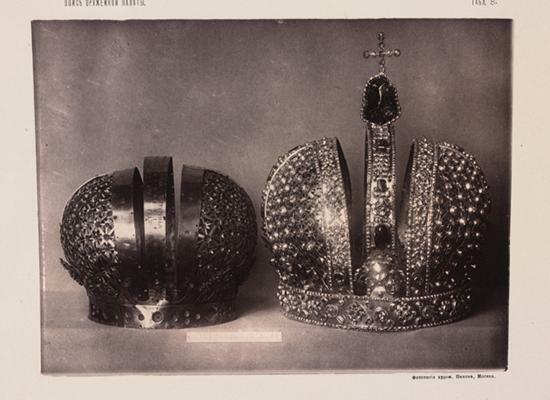 Photograph "Altabas crown of Tsar Ivan Alexeevich"
Photograph "Ivory throne of Tsar Ivan III"
Photograph "The Polish copper crown. 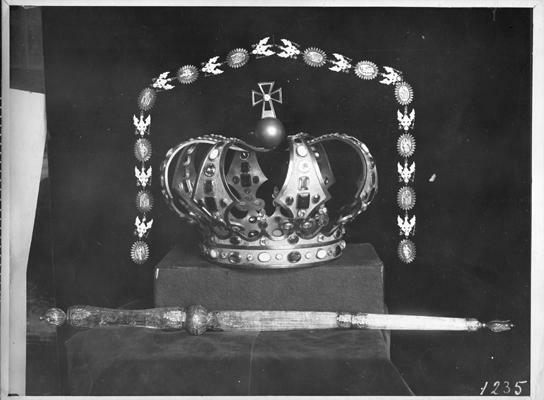 Aquamarine sceptre. 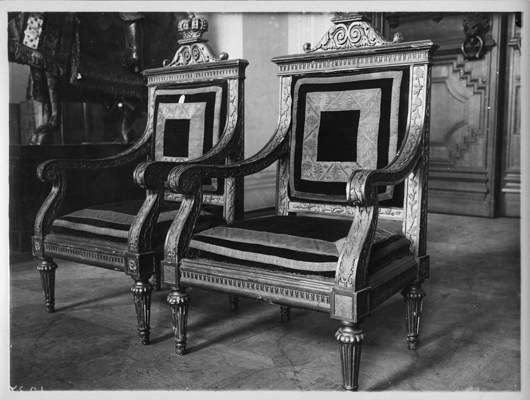 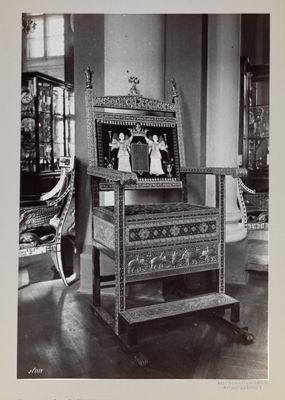 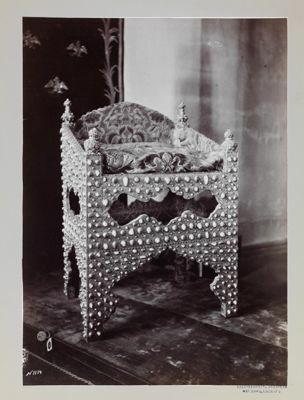 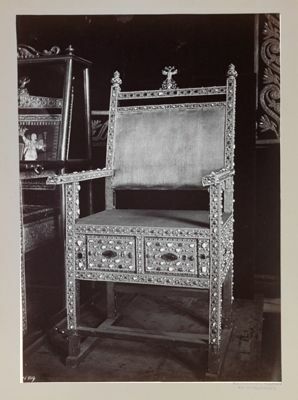 Chain of the order of the White Eagle"
Photograph "Throne of Tsar Alexey Mikhailovich, granted by Kizil Bash"
Photograph "Throne of Tsar Mikhail Fyodorovich, granted to Tsar Ivan the Terrible by the Persian Shah"
Photograph "Throne, granted by Shah Abbas I of Persia to Boris Godunov in 1604"
Phototype "Coronation dress of Empress Catherine I"
Phototype "Crown of Tsar Peter Alekseyevich"
Phototype "Orb of Tsar Alexey Michailovich"
Phototype "Undecorated Crown of Empress Catherine I and the crown of Empress Anna Ivanovna"